Born and raised in New York City, internationally acclaimed cinematographer Jim Gucciardo has spent his adult life traveling the world shooting feature films, commercials, documentaries and music videos. 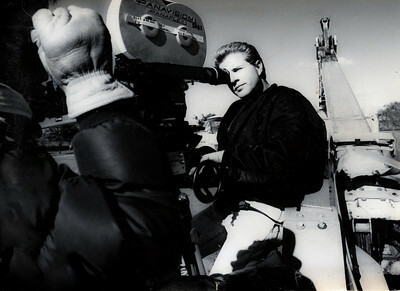 Jim had his debut as a feature cinematographer in 2000 with the film "The Solitude of Blood" which had it's premiere at the Moscow International Film Festival and received recognition with a nomination for the "Golden St. George" award. He now has 8 feature films to his credit, including the acclaimed "5 Minarets in New York" starring Danny Glover and Gina Gershon. 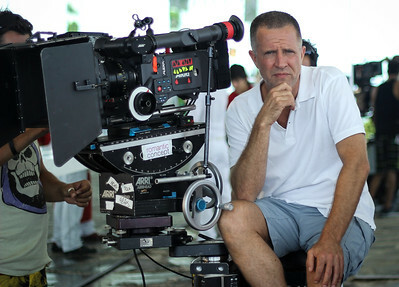 In between shooting feature films, Jim has been behind the lens on hundreds of TV commercials for such diverse clients as Mercedes Benz, Fiat, Dannon Yogurt and Pantene Shampoo. He is experienced with all formats of imaging from 35mm negative to all the newest digital acquisition, post-production and distribution. Jim is also an accomplished diver and underwater cinematographer with a full year of programming for Discovery Channel to his credit and has expertise working with animals in the wild. Jim feels very fortunate to have worked in so many diverse cultures and is competent in several languages. In addition to his career as a cinematographer, Jim strongly believes in "giving back" and donates his time to newer generations of filmmakers by co-organizing the Efebocorto Young Filmmakers Film Festival ( Il cinema fatto dai giovani) in Castelvetrano, Sicily and has often served as a juror for the Brooklyn International Film Festival in New York City.